Brazil will face Chile while Colombia will go against Uruguay on Saturday. RIO DE JANEIRO: Brazil are nervously heading into their World Cup last 16 clash with Chile on Saturday, while Uruguay must learn to live without Luis Suarez as they tackle the knockout stage. The 16 remaining World Cup teams have still not recovered from their group battles, but the second round quickly gets underway with the Brazil-Chile game in Belo Horizonte at 1600 GMT (12am Malaysian time) and Colombia-Uruguay in Rio de Janeiro at 2000 GMT (4am Malaysian time). Brazil coach Luiz Felipe Scolari acknowledged the mounting pressure to perform on home territory. "It is understandable that one should feel uncomfortable and anxious, especially when you get to the knockout stage. We can't afford to make a mistake," Scolari said. Brazil captain Thiago Silva, 29, said the pressure started in their opening 3-1 victory against Croatia in particular. "We have to control our anxiety as much as possible. In the first game, I wasn't myself. I wondered if I had forgotten how to play," said Silva. Brazil have beaten Chile in all three of their World Cup meetings, including 3-0 in the last 16 of the 2010 tournament. They have probably never played such a strong Chilean team though. Alexis Sanchez and Artur Vidal have given the Andes nation added class as they showed in their win over Spain in Group B. And coach Jorge Sampaoli is continually pressing his team to attack. Sanchez says he believes his side will win "We came here to make history," he insisted. Brazil have a doubt about centre-back David Luiz and Bayern Munich's Dante could be drafted in. Juventus midfielder Vidal, who is not 100 percent fit, should return for Chile after being rested for the 2-0 defeat to Netherlands. Sampaoli is worried about defender Gary Medel, who picked up an ankle knock in training. The winners will play Colombia or Uruguay in the quarter-final. 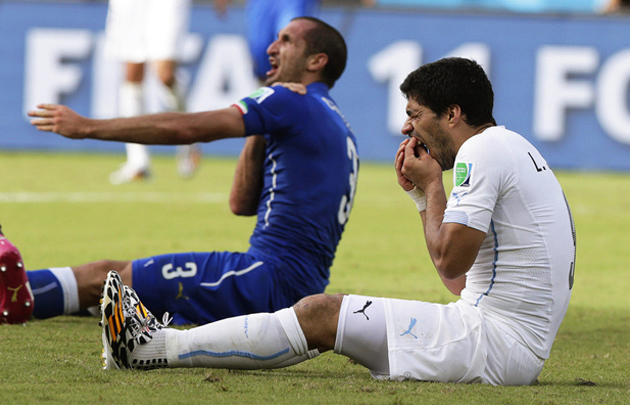 And the world will find out in Rio just how badly the four-month ban imposed on Suarez for biting an Italian opponent this week has affected Uruguay. "We know the ability that Uruguay have and in each match they give every last drop of sweat. It will be a highly emotional match, where Uruguay will want to do things correctly," said Colombia's goalkeeper David Ospina, who is based in France. Uruguay coach Oscar Tabarez made light of Suarez's absence. "We've already played lots of matches without Suarez," he said. "We've won some, and we've lost some, and he wasn't there against Costa Rica either." With Colombia also missing the injured Radamel Falcao, the Rio match could turn into a duel between stand-ins Edinson Cavani for Uruguay and James Rodriguez for Colombia who was rested for his side's 4-1 demolition of Japan on Tuesday. Saturday's game will be the first time that Uruguay have played a World Cup match at the Maracana since stunning Brazil 2-1 in the deciding fixture of the 1950 tournament. 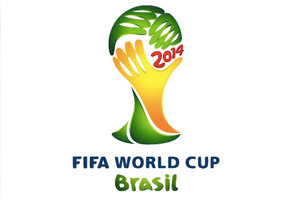 It is also a chance for Colombia to make history as they have never reached the World Cup quarter finals.